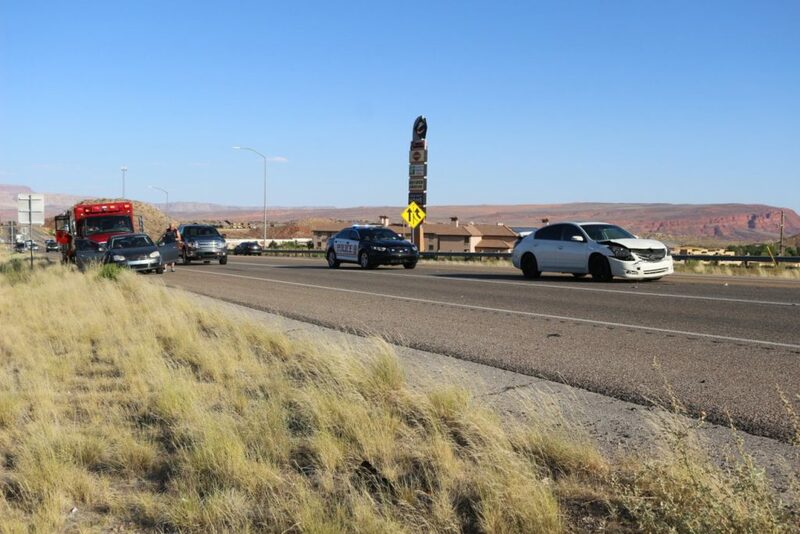 WASHINGTON CITY – Access to the on-ramp to southbound Interstate 15 from state Route 9 was temporarily slowed Tuesday as a three-car crash blocked one of the lanes. 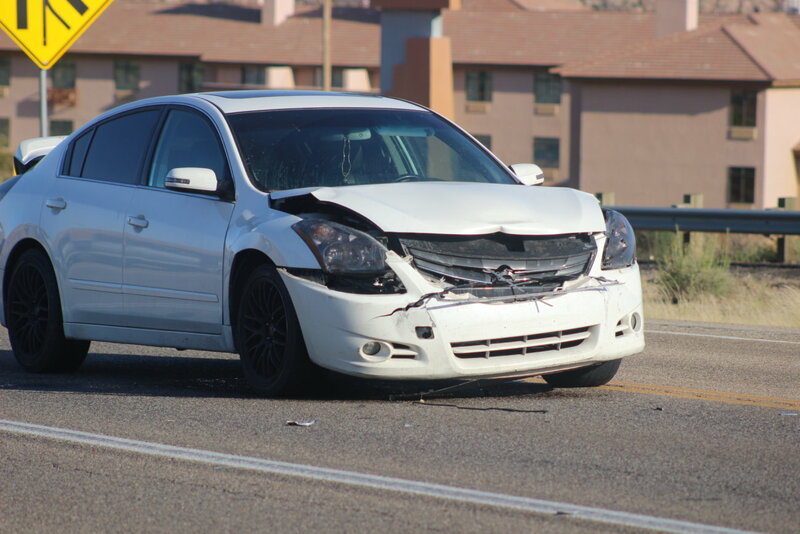 The crash was reported around 6:20 p.m. on SR-9 in the area of the Coral Canyon development. Two vehicles, a silver SUV and Toyota Camry, were on the westbound lane slowing for merging traffic when the SUV was struck from behind by a white Nissan passenger car that was following too close and did not slow down in time, Washington City Police Sgt. Kory Klotz said. The force of the impact pushed the SUV into the Toyota ahead of it. 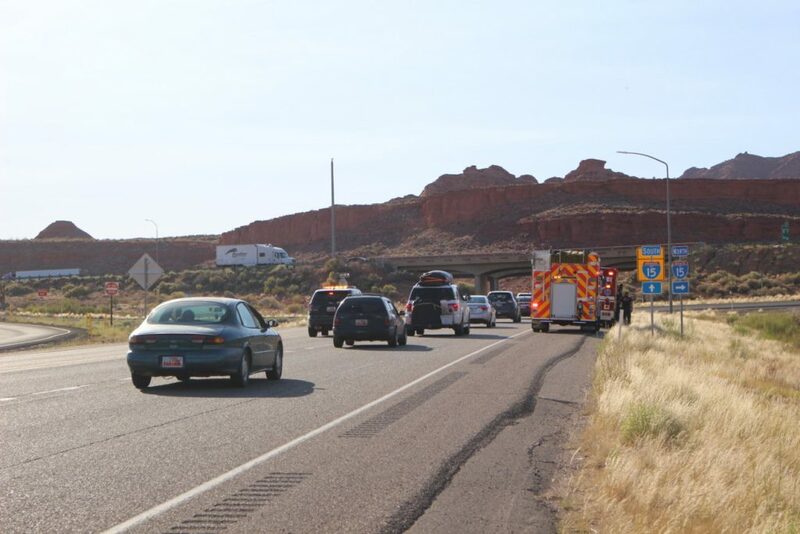 While the SUV and Toyota were able to pull off the road, the Nissan came to a stop in the westbound lane, causing traffic to have to move around it. 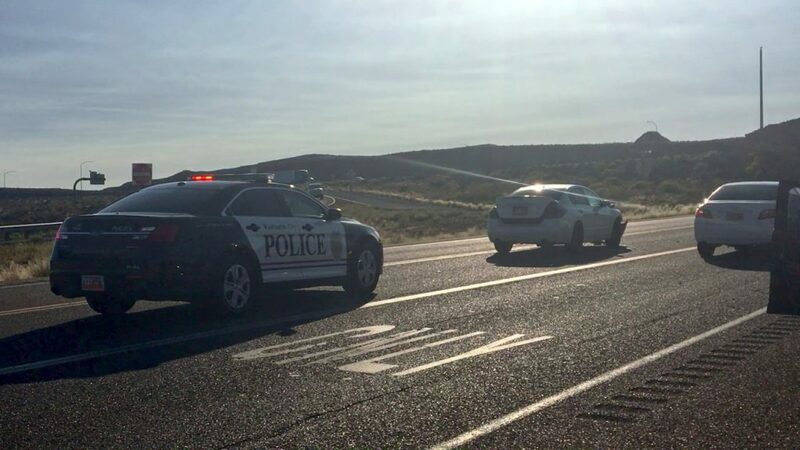 Due to dispatch not being able to confirm if the crash was on SR-9 or on Coral Canyon Boulevard which passed beneath, there was some confusion on response, Klotz said. 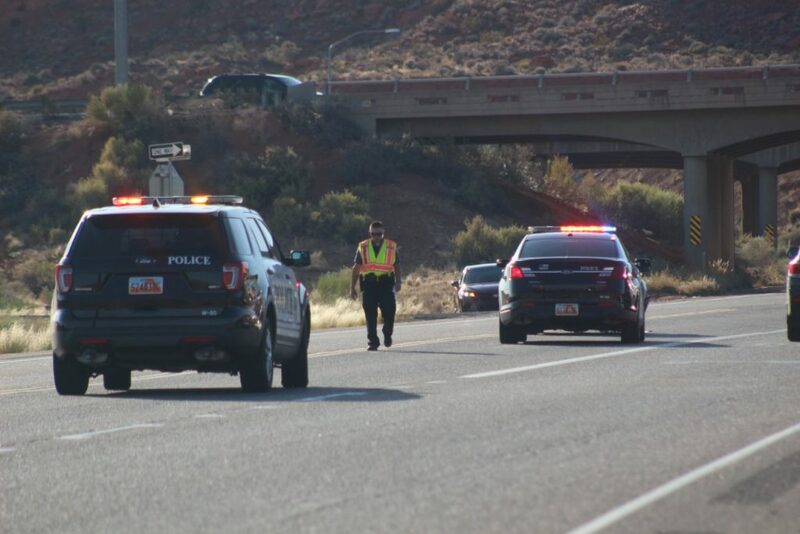 Crashes on SR-9 just off I-15 are usually handled by the Utah Highway Patrol. However, due to Washington City Police units being closer, they took care of the crash investigation instead, he said. The driver of the Nissan was treated for minor injuries at the scene and declined being transported to the hospital. No injuries were reported among the occupants of the SUV or the Toyota. Washington City Police diverted traffic around the crash, slowing down westbound traffic as it moved between police cruisers in one lane and responding firetrucks park on the side of the road. A firetruck and ambulance with Hurricane Valley Fire and Rescue and a firetruck from Washington City Fire also responded to the scene. A Washington County Sheriff’s deputy was also on hand to help direct traffic.